It’s nice to see this front yard addition coming along! 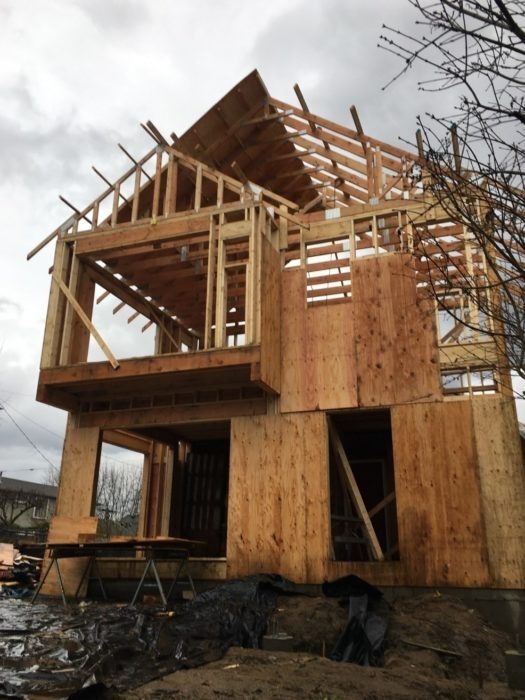 When the owners of a small single story cottage in a Central District area, which was surrounded by traditional homes, wanted to expand, we decided to push up and forward into their front yard. 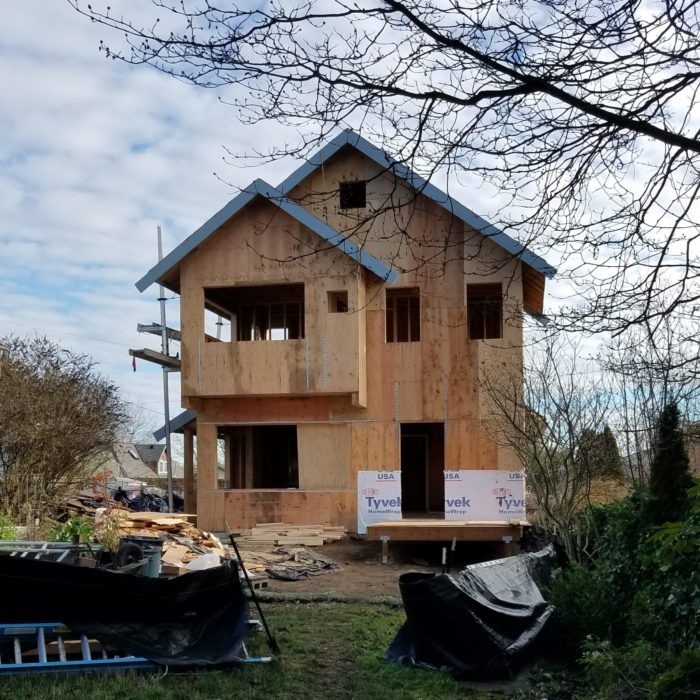 This enables them to gain their additional space while also upgrading the house and not having to build on the existing foundation, which doesn’t meet current codes for a second story. Soon they will have big views and lots of light, something very valuable here in the often cloudy Northwest! Another (older) in progress shot!